Width: 5" | Height: 7" | Depth: 0.75"
Cut sample of door style and color. 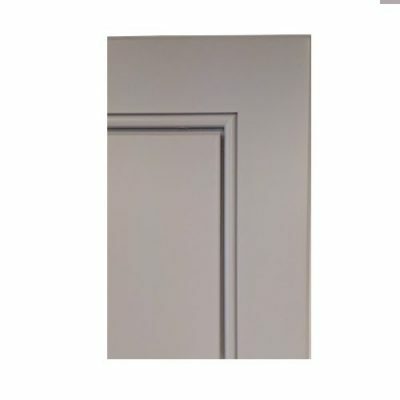 Not a full sample door. 1st 3 color samples per customer are free (discount taken at checkout). Need Help? Contact one of our Designers today! All delivery lead times are estimates. We are not able to guarantee completion times for the products. The Purchaser should not remove their existing cabinets and should not schedule cabinet installers until the new cabinets are received and inspected. Our normal delivery method is by freight using common carriers delivered to the public street curb of your home. The items will require unloading from the back of the truck. For deliveries in our Local Delivery Area (defined as the area within 100 miles of our showroom in Fairfield, NJ, excluding Manhattan), we may be able to deliver the cabinets into the street level floor of your home. Check with us to see if you qualify. There is an extra charge for the use of steps or elevators to deliver above or below street level. We or the shipping company will contact the Purchaser to arrange the date and time of delivery. If we are unable to make contact, the delivery will be postponed. A responsible person must be present to verify delivery and sign the delivery forms. What do I need to do regarding delivery? The shipping company will call or email to arrange the date and time of delivery. If they are unable to reach you, the delivery may be postponed. For curbside delivery, you will need to move the cabinets into a protected area. We recommend using 2 or 3 persons to move the heavy drawer base cabinets, large corner cabinets, oven cabinets and pantry cabinets. If inside delivery is available to you, you are responsible for the protection of the floors during delivery. Cabinets are delivered wrapped in protective cardboard and/or plastic. Delivery personnel will not be able to wait for you to unwrap the cabinets. DO NOT USE A BLADE against the front or sides of the cabinet when removing the wrapping. Wood products react to extreme temperatures and to changes in temperature and/or humidity by expanding and contracting. Cabinets must be stored indoors to prevent damage. Carefully inspect the packing material for damage when accepting the cabinets and note damages or missing items on the delivery truck receipt prior to signing. Take photos of the damaged packaging and report the delivery damages as soon as possible by email to orders@woodcabinetfactory.com or by text to 973-244-9933. Large corner sink base cabinets can require up to 36″ of clearance from outside into the kitchen.. Lazy Susan corner base cabinets require at least 32″ of clearance. Tall pantries and oven cabinets will require additional ceiling height to tip into place and will may not be able to make tight turns into your kitchen. Please advise in advance if you require the cabinets to be delivered unassembled. Can I pick up my cabinets? Unfortunately, we must arrange for delivery of all large orders. We can only arrange pickup at our warehouse for small, lightweight cabinets and parts. How long do I have to report damages? There are times when everything on a delivery looks fine, but when you open a box the item is damaged. The Purchaser must file a claim for damages (i) prior to cabinet assembly by the Purchaser, (ii) prior to item installation and (iii) within ten (10) days of item receipt. The item will not be repaired or replaced if the damaged item has been assembled or installed by the Purchaser or if the damage claim is not reported within ten (10) days. The Purchaser should unwrap and inspect the items promptly to ensure damages are reported within ten (10) days. Photos of the damaged items are required. Text photos to 973-244-9933 or email to orders@woodcabinetfactory.com. Defective or damaged items will not be replaced or repaired until we receive photos or are otherwise able to inspect the damaged items. We reserve the right to replace a damaged component rather than the entire cabinet. For example, we may replace a door, drawer face or cabinet side panel, rather than the entire cabinet. Except as noted below, full payment is due at the time of order. For showroom sales with local delivery, we will accept 50% down at the time of order, with the final balance due 3 days prior to cabinet assembly and shipment. In order to avoid delays in delivery, the final balance due prior to shipment must be made by credit/debit card, exact cash, or cashier check. If we are measuring your home, we can accept a non-refundable measurement deposit at the time of order, with the remaining amount necessary to attain a 50% deposit due upon finalizing the order and the final balance due 3 days prior to cabinet assembly and shipment. We can not accept return of any assembled cabinets (whether assembled by us or by the customer). We can only accept the return of parts and Ready-to-Assemble (RTA) cabinets in good condition, in the original packaging and within thirty (30) days of receipt by the Purchaser. All returns must be delivered to our warehouse at 311 US 46, Fairfield, NJ 07004 and are subject to inspection and a twenty-five percent (25%) restocking fee. Why should I purchase a sample before ordering a full kitchen? Photos and computer monitors do not accurately present the colors, graining and gloss level of the cabinet styles. The samples will provide a better representation of the quality and color of the cabinets. What is included in 10 x 10 kitchen pricing? We provide cabinet pricing for a standard 10' x 10' kitchen as a starting point. The 10' x 10' refers to the length of the two walls of an L-shaped kitchen and assumes spacing for a standard sized refrigerator, range and dishwasher. The price does not include appliances, installation, countertops, tax or delivery. What design assistance does Wood Cabinet Factory offer? We offer complimentary design assistance to customers. Unless we measure the Purchaser’s rooms, we rely on the written and oral room measurements and appliance selections provided by the Purchaser. 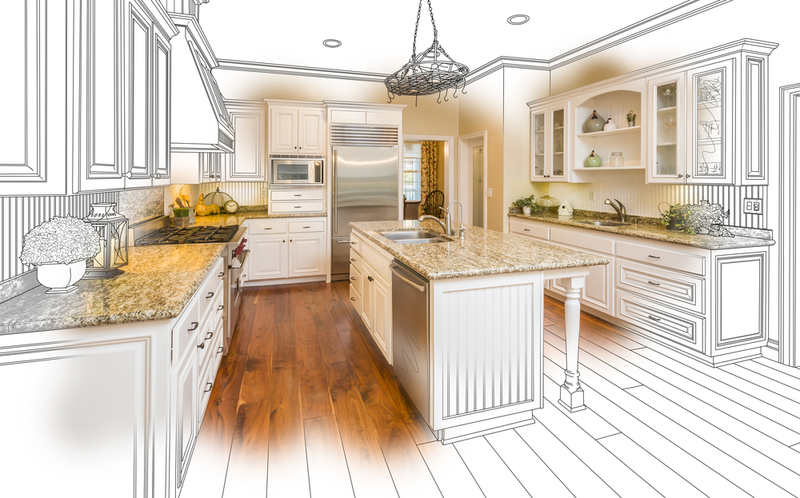 The Purchaser must confirm that the final design room measurements, window and door locations (including window and door trim), appliance sizing, and ceiling height, will fit with this design layout. The Purchaser also needs to ensure that any plumbing lines, electrical lines, outlets, lights, switches or HVAC vents are relocated to accommodate the provided layout. We recommend that the Purchaser have their installation contractor review the final design layout. We do not offer any warranty on the design services. Codes and permits differ between each town. Purchaser is responsible for insuring that the design and their chosen appliances meet all local code standards. The design renditions may show sinks, countertops, backsplashes, flooring, appliances, faucets, door hardware, drawer hardware, and decorative items. Unless specifically listed, these items are not included in your order. Will Wood Cabinet Factory visit my home and measure the room? We strongly recommend that you involve your installation contractor early for measurement of your spaces and for a review of the design. If you are located in the northern New Jersey area, ask our designers about the price and availability of the on-site measurement option. Wood Cabinet Factory is not responsible for any cost resulting from the addition, removal, or modification of walls, windows and soffits that occur after the date measurements are performed by Wood Cabinet Factory. The room measurements are for Wood Cabinet Factory use only. You will still be responsible to ensure that your electrical, plumbing, and ventilation lines can accommodate the design. Will my refrigerator have a built-in look? Unless you purchase a reduced depth refrigerator, the side of the refrigerator box will not be fully covered by the refrigerator panels and the refrigerator will protrude beyond the cabinets. Can I extend the cabinets all the way to the ceiling? The typical design choice is to select cabinets that can be mounted 4” to 6” short of the ceiling and to finish off the top of the cabinets with a crown moulding / riser arrangement to reach the ceiling. This design can better accommodate uneven floors and ceilings, while still maintaining a level countertop. It is not always possible to reach the room ceiling with crown molding due to ceiling height or ceiling unevenness. 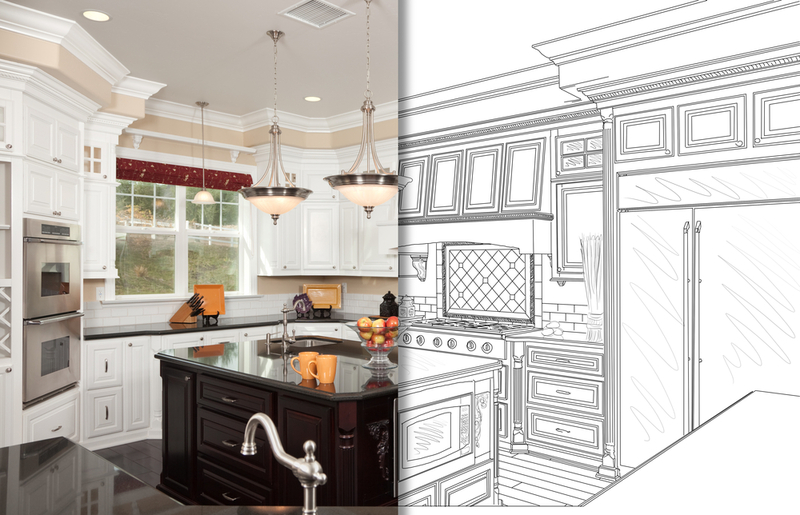 Purchaser should have their installation contractor review the cabinet & molding design heights. Why do the design drawings show hinges on different sides? All cabinets come standard with the hinges installed on the right side of the door. The doors can be removed by the contractor and reinstalled with the hinges on the opposite side. The marks from the original hinge location will be hidden by the closed door. Hinge locations shown on the design drawings are suggestions for the Purchaser’s installation contractor. What are your cabinet materials? All of our cabinets use solid plywood box construction. Framed cabinets have solid wood front frames. All collections have soft close doors and soft close full extension drawers standard. Some corner cabinets and spice-pullouts may not be soft close. The door construction varies depending on the door style and is either solid wood, solid wood & medium density fiberboard (MDF) or full MDF. All of our cabinet plywood meets the California Air Resources Board CARB2 standards for emissions certification. Due to the natural wood construction, joint and trim fracturing (hairline cracks along joints/trims on the front, back or edge of doors) from handling of doors and/or the natural process of expansion and contraction of the doors during the different seasons of the year is not considered to be defective. Painted cabinets show these joint cracks more readily than stained cabinets. Why do my cabinet doors vary in color and grain? Shouldn’t my door glazing be of uniform thickness and color? Our cabinets, fillers and moldings are constructed from solid wood, and wood veneers on plywood or medium density fiberboard. Differences in grain pattern and color should be expected. Color differences in wood are the result of variations in minerals found in the soil native to the tree’s origin. Absorption of these minerals will vary by tree or parts of said tree. In addition, color changes can be expected due to different exposure to light. All species of wood will display characteristics such as knots, pinholes, sap runs, mineral streaks, and darkening with age. It is part of the natural beauty of wood to exhibit these characteristics and their presence is not considered a defect in material or manufacturing. Glazing is a decorative feature made to look like residual stain left in the corners and grooves of the door pattern. It is hand applied and it will have varying thickness or color. Do the cabinets come assembled? Yes. Individual cabinets are assembled; however, some of our collections can be purchased Ready-to-Assemble (RTA) at a significant savings. Select this option during checkout. What are Ready-to-Assemble (RTA) cabinets? Are Ready-to-Assemble (RTA) cabinets difficult to assemble? A Ready-to-Assemble (RTA) cabinet includes all the parts for a complete cabinet. Included in the box are: pre-finished sides, back, bottom, top and front frame; door(s); door hinges; drawers, drawer faces, drawer boxes and metal drawer glides (if the cabinet has drawers) and finished shelves. They can be assembled by do-it-yourself homeowners with just a screwdriver. We also recommend the use of a staple gun to reinforce the back panel to side panel joints. See helpful assembly videos elsewhere on this site. Does Wood Cabinet Factory offer doors separate from the cabinets? We do not sell the doors and drawer faces separately; however, we do offer decor panels to add style to the exposed sides of wall, pantry and base cabinets. Are the bottoms and sides of the cabinets finished? While both the left and right sides of the cabinets are finished, we only warrant the finish on the exposed side. Any finish issues on sides hidden during installation will not be entitled to repair or replacement. The bottom and top of the cabinets are not fully finished because the bottom and top are typically not visible when the cabinets are mounted at normal heights. Do the cabinets come with door and drawer handles? Because the selection of handles is an item of individual taste, the handles (knobs and pulls) must be purchased separately. Drawer handles or knobs should be added promptly after cabinet installation. The cabinet doors and drawers are not designed to be opened without handles and the handles add strength to the drawer face/drawer box combination. What is the warranty for the cabinet collections? Wood Cabinet Factory warrants our cabinetry products to be free of manufacturer defects and defects in material and workmanship under normal use for five (5) years from the date of purchase. This limited liability warranty applies to residential use only at the original site of installation and only in the United States. This limited liability warranty is non-transferable. This warranty is effective for sales after July 1, 2018. This limited liability warranty does not cover or apply to any defect that is not caused by us. Defects not caused by us include but are not limited to: products that have been misused; mishandled; abused; improperly stored or installed; modified; or subject to excesses of moisture or extreme temperatures, abrasive or citrus cleaning products, defective installation or normal wear and tear. This limited liability warranty is limited to the repair or replacement of the defective cabinetry or components or parts and does not include or cover the cost of installation, removal, subsequent damage or transportation of the allegedly defective product. This limited liability warranty does not apply to any products used in conjunction with the cabinetry, including but not limited to knobs & pulls, countertops, appliances or plumbing fixtures. If a warranty claim is presented for a discontinued or unavailable cabinet or component or part thereof, we will replace the cabinet or component or part thereof under warranty with a new cabinet or component or part with a similar or comparable style. Some replacement cabinets and components and parts thereof are subject to availability, and may differ from those originally supplied. This warranty is our exclusive warranty with respect to the products & services. Wood Cabinet Factory disclaims all other warranties, expressed or implied. In no event shall Wood Cabinet Factory be liable for incidental or consequential damages to the customer or any third party, including, without limitation, damages arising from personal injury, lost profits, loss of business opportunity, loss of property, economic losses, or statutory or exemplary damages, whether from negligence, warranty, strict liability or otherwise. What are “stock cabinets”? Does Wood Cabinet Factory sell only stock cabinets? The industry term “stock cabinets” is used to signify that the finishes, cabinet sizes and door styles are pre-determined. All of our cabinet lines are “stock cabinets”, with a very extensive list of sizes available. The number of different cabinet sizes provide design flexibility to accommodate any design space. This makes the cabinets very affordable. What are the standard cabinet depths? How is the depth of the cabinet measured? The stated depth is the depth of the cabinet box, EXCLUDING the added depth due to the doors and handles. • The standard wall cabinet box is 12” deep. • The standard kitchen base cabinet box is 24” deep. • Typical kitchen countertop depth is 25 ½”. • The standard vanity base cabinet box is 21” deep. • The standard oven cabinet or pantry box is 24” deep; however, the standard depth for J&K oven cabinets/pantries is 27” deep. Can Wood Cabinet Factory modify the depth or width of the stock cabinet sizes? We can perform certain modifications to the depth of the assembled cabinets, but not the width. 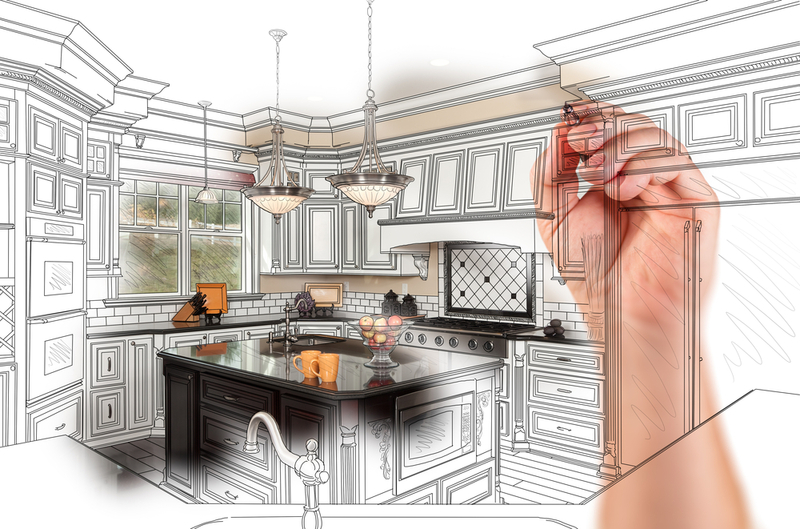 Contact one of our kitchen and bath designers to go over modification options. These modifications are not available for Ready-to-Assemble (RTA) cabinets. What is the best way to keep the cabinets clean? Kitchen cabinets should be dusted or cleaned periodically like any wood furniture. • Clean all spills or water immediately – wood cabinets should be kept dry. • Dust cabinets with a pre-moistened or damp cloth. Follow the grain of the wood when dusting – wiping across the grain can cause scratches. • Use only clean soft cloths – do not use dish towels as they can contain grease. • Mild detergents and warm water or wood polishes can be used for cleaning cabinets. If using a furniture care product, use polish and avoid silicone or wax products. • Dry immediately after cleaning. Does Wood Cabinet Factory install cabinets? Wood Cabinet Factory does not provide installation services for the cabinets; however, our designers can recommend installation contractors that have worked with us in the past. Can Wood Cabinet Factory help if I have a question during installation? If you have technical questions about the cabinets please contact our support team at: 973-244-9933 Ext. 2 on weekdays from 9am to 5pm Eastern Time or via email to orders@woodcabinetfactory.com. Do the doors come installed in a standard hinge configuration? For wall cabinets, you can flip the entire cabinet upside down to put the hinges on the left; however, for the Forevermark wall cabinets, you will also need to move the hinges down about ¼” so the doors will line up with the adjacent cabinets. The Forevermark wall cabinets are designed to have a larger reveal at the top. Will large assembled cabinets fit through my doorways? 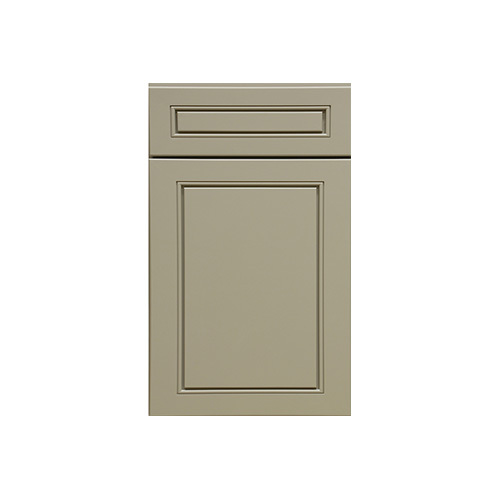 Most base cabinets measure up to 25” on one side and will pass through standard doorways. Large corner sink base cabinets can require up to 36” of clearance from outside into the kitchen. Lazy Susan corner base cabinets require at least 32” of clearance. Tall pantries and oven cabinets will require additional ceiling height to tip into place and will may not be able to make tight turns into your kitchen. The Purchaser must advise us in advance if the larger cabinets need to be delivered unassembled. How do I install tall cabinets if they are the same height as my ceiling? If the tall cabinet is the same height as your ceiling, you will need to remove a few inches from the bottom of the cabinet to reduce the height of the cabinet so it can be tipped upright. That will require your contractor to build a platform to slide the shortened cabinet into place at the correct height. How do I align my cabinet doors and drawers? When the cabinets are installed and leveled, the doors and drawers are put out of alignment and need to be readjusted. Some minor door warpage of less than one-quarter inch (¼”) is considered acceptable. The six-way adjustable hinges can be adjusted by your installer so that your doors will look level and close properly. The drawers also have leveling adjustments in the front clips under the drawer. Are oven cabinets, farm sink cabinets & microwave cabinets pre-cut for my appliance models? Wall oven appliances come in many different sizes and combinations. 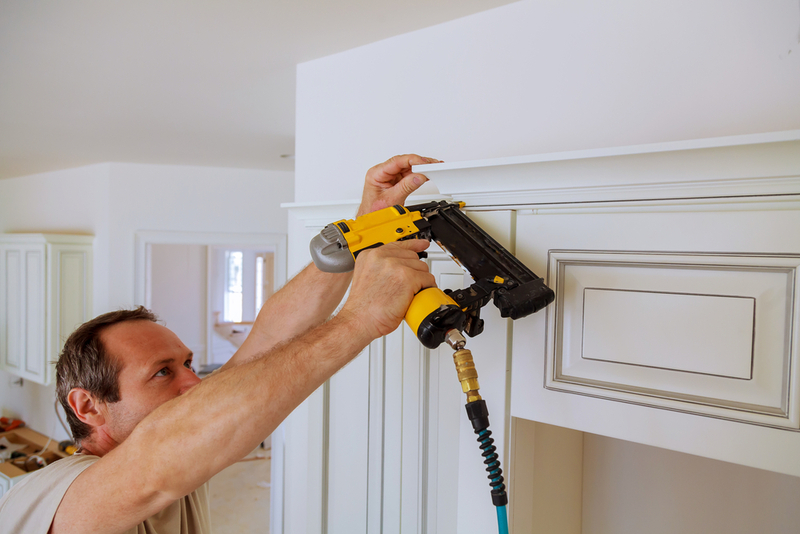 Unless otherwise indicated, any cabinet modifications that are required to fit your appliances will have to be done in the field by Purchaser’s installation contractor. This could require the Purchaser’s contractor to make modifications to cabinet panels, frames & drawers. Additional structural support within the cabinet to hold the appliances may be needed. Farm sink and microwave cabinets will also require on-site modification to accommodate your farm sink and microwave model. The modification of wall oven cabinets, farm sink cabinets & microwave cabinets is difficult and should be handled by an installation contractor. Do panels and fillers come pre-cut to the size shown on the drawing? No. It is standard for your installer to cut panels, fillers and molding to the proper size in the field as part of the installation process. No matter how carefully you measure your kitchen before installation, it is best to wait to cut fillers as the actual installation conditions dictate. My design uses wall cabinets as base cabinets. How are they installed? Your installer will need to build a toe-kick high platform on the floor to raise the wall cabinets to the proper height. A 4 ½” high toe-kick platform will raise a 30” wall cabinet to the proper height to match the other base cabinets. Does the Wood Cabinet Factory also sell countertops? In our local delivery area, we can provide and install stone countertops (granite, marble, and quartz). We do not sell corian or laminate countertops. We price the countertop based on the square foot measure of your countertop, with a 25 square foot minimum. We estimate the square feet during the order process and true-up the actual square feet during template. You pay only for the square feet used for your countertop, not for the unused portions of the slabs. We assume straight-line, rectangular cuts when calculating square feet, squaring off any rounded corners, etc. The price includes template, one sink or cooktop cutout, installation and certain free edging options. There will be an extra charge for countertop installations that are not on the ground floor. Countertop seam locations will be determined following template at our sole option. What is the process to purchase countertops? Once your cabinets are installed, we will schedule our countertop installer to template your countertop on site. This template step is also an opportunity to change your edge selection, sink selection, and overhang depths (for breakfast bars). We recommend that the Purchaser select the countertop slab(s) in person prior to making their final stone selection. Countertop colors and patterns can vary from samples, especially for granite, but also for quartz products. We usually are not able to reserve the selected slab(s) for more than one (1) week, so the final slab selection should be scheduled shortly after the template. Installation lead times are estimates. We are not able to guarantee installation dates for the countertops. We usually cut the countertop(s) and schedule installation within ten (10) days of template; however, this could be delayed if a slab is rejected due to poor quality or if the signing of the revised order is delayed. The Purchaser must file a claim for damages within ten (10) days of installation. Photos of the damaged items are required. Text photos to 973-244-9933 or email to orders@woodcabinetfactory.com. Defective or damaged items will not be replaced or repaired until we receive photos or are otherwise able to inspect the damaged items. We offer the following edges free of charge: Straight/Eased, Quarter Round/Pencil, ¼” Bevel, ½” Bevel, Half Bullnose. Other edges such as Ogee, Double Ogee, Full Bullnose may incur an extra charge. For countertop orders over 35 SQF, except for the special introductory granite level, we include one of the following 18 gauge stainless-steel sinks: Bar, Small Rectangular, Large Rectangular, D-Shape, Double Bowl Same-Size, Double Bowl Large/Small. We will fasten the sink to the countertop and drill holes for the faucets/dispensers, but we do not connect the plumbing or install the faucets. What is the warranty on the countertop stone and installation? Wood Cabinet Factory warrants our countertop installation services for one (1) year from the date of installation. This limited liability warranty applies to the installation services only and to residential use only. This limited liability warranty is non-transferable. We do not offer a warranty on natural stone products (granite, marble, quartzite, etc.). Wood Cabinet Factory. Copyright © 2019 | Designed by GWP Inc.